Video at Click is a well-known Animation video company Pakistan that specializes in explainer videos. Being an explainer video company, we offer extensive services and support for businesses and customers. The company focuses on providing countless video animation services for e.g. Explainer videos, whiteboard animation, paper cut animation, 2D/3D animation, kinetic typography and motion graphics videos.As a video production company, The company has catered services to corporate sectors effectively and has now established itself among the best in animated video production. As an animation video company, we have now grown in reputation as one of the best in a short period of time, we are well aware of the increasing demand of animated explainer videos and this is why we have chosen the sector of explainer video production. Our young passionate team is always motivated to do world-class work. We are dedicated and accustomed to providing you with the best services possible, we use our clinical knowledge to understand the business complexities and combine the creative and innovative expertise in all of our work and this is what makes unique from others. Our clientele is loyal to us and we offer better ROI as well as customer services, plus we firmly believe in being accountable for the result. So work with us and experience professionalism and perfection, we will help you establish a footprint and make an impact through a digital medium using our valuable resources to engage, generate leads and drive conversion for your brands. We consider it our utmost duty as an animation video company to deliver the services that are expected from us, instead of taking the job as a tiresome one. Ask anyone about us and you will certainly get positive reviews. Videoatclick targets globally, we think ahead and big. We have already worked with foreign businesses and startups from different countries, we have achieved this by building our reputation and effective client dealing. A worldwide vision is what we aim for. Creative ideas and research that make viewers click, that is what we target. This has helped us understand what works, why, how and in what way for which type of business. Original research and creative ideas makes us unique in the field. We class ourselves as specialists in explainer videos and our portfolio is the proof of our claim, we understand the psyche behind these videos. From storytelling, scripting, design and animation to promotion of your video, we do it all with perfection. 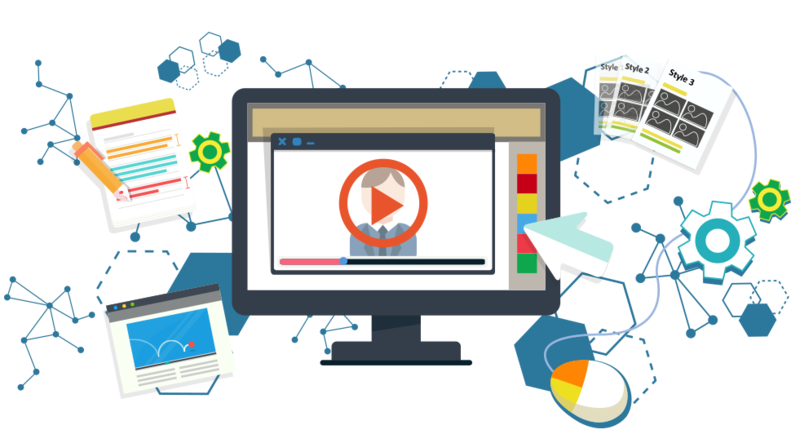 Videoatclick offers every video style with perfection, be it 2D animation, 3D animation, Motion Graphics, whiteboard animation, stick figure or even info graphics. Our wide range of services are what makes us the best in the business.